We have been watching the HBO movie titled The Weight of the Nation, about confronting America’s obesity epidemic. Even though we have seen several other movies of this type like Food Inc. and other, this was a shocking reminder to be mindful of what you eat. We have been watching the HBO movie titled The Weight of the Nation, about confronting America’s obesity epidemic. Even though we have seem several other movies of this type like Food Inc, this was a shocking reminder to be mindful of what you eat. The movie shows in a practical way how bad things have gotten. Some examples and facts they give were quite enlightening, although not surprising. Food obtained outside the home tends to be higher in calories and fat than food prepared at home. 40% of every dollar spent on food is spent on food prepared outside the home. In the 25 years between 1987 and 2010, the number of American’s diagnosed with diabetes almost tripled to 20.9 million. Children consume more than 7.5 hours of media a day, 7 days a week. 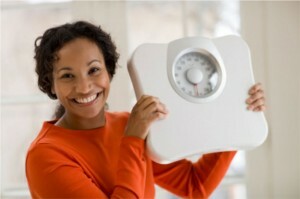 In the United States in 2010, over 63% of people are overweight or obese. The percentage of children aged 6-11 years in the United States who were obese increased from 7% in 1980 to nearly 20% in 2008. The Physical Activity Guidelines for Americans recommend at least 150 minutes of moderate to intense aerobic activity every week for adults. The movie showed all the “cheap” processed food that people eat lke snacks and dollar menu items. They are cheap but the health care down the road is going to be very expensive. It is much better to eat quality food that may cost a little more but is healthier for you because of less fat and more nutriments. As Ann has pointed out many times, getting up and get moving to get some exercise is the other part of the solution. If you want to get motivated, see this movie Weight of the Nation. You probably already know a lot of this stuff, but the graphics are strong and will surely motivate you to take action. I think it worked for us. 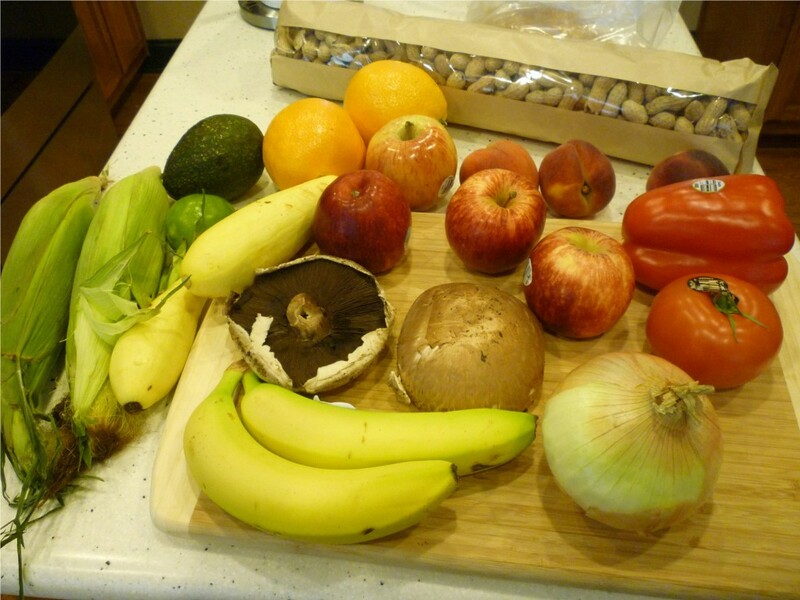 Today rather than grilling a hamburger we went the the market and came back with the fruits, nuts, and vegetables pictured at the top of this post. Now that’s yummy!